President McRobbie takes a tour of the Union 525 building in downtown Indianapolis on Thursday, November 8, 2018. Photo by Liz Kaye, Indiana University. 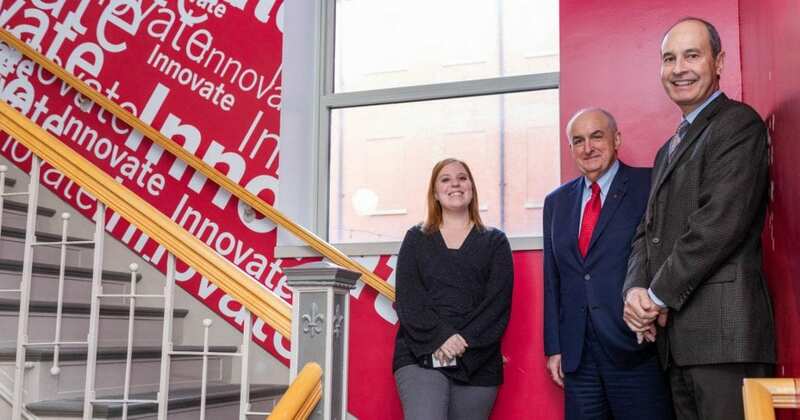 Earlier in November, Indiana University President Michael A. McRobbie toured The Union 525 in downtown Indianapolis. The university has established a dedicated presence in this venue, which provides flexible space for startups and growth companies. 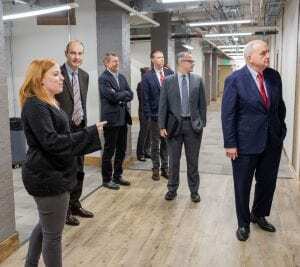 President McRobbie takes a tour of The Union 525 building in downtown Indianapolis on Thursday, November 8, 2018. He is joined by, from left, Katie Birge, Bill Stephan, Lou Lenzi, Jason Whitney and David Gard. Photo by Liz Kaye, Indiana University. Pres. McRobbie was joined on the tour by Vice President for Engagement Bill Stephan, IUPUI professor Lou Lenzi, Assistant Vice President for Economic Engagement David Gard and IURTC Manager of Strategic Partnerships Jason Whitney. Katie Birge of The Union 525 led the tour. The university’s dedicated presence at The Union 525 strengthens its ability to support innovation, entrepreneurship and economic development by university researchers, staff, students and graduates throughout the state. This goal is outlined in the university’s Bicentennial Strategic Plan as priority seven: Building a Prosperous and Innovative Indiana. The university also has a dedicated presence to support innovators and entrepreneurs at Dimension Mill in Bloomington, Launch Fishers in Fishers and WestGate@Crane Technology Park in Odon. The university also is committed to a space in 16 Tech in Indianapolis when it opens. 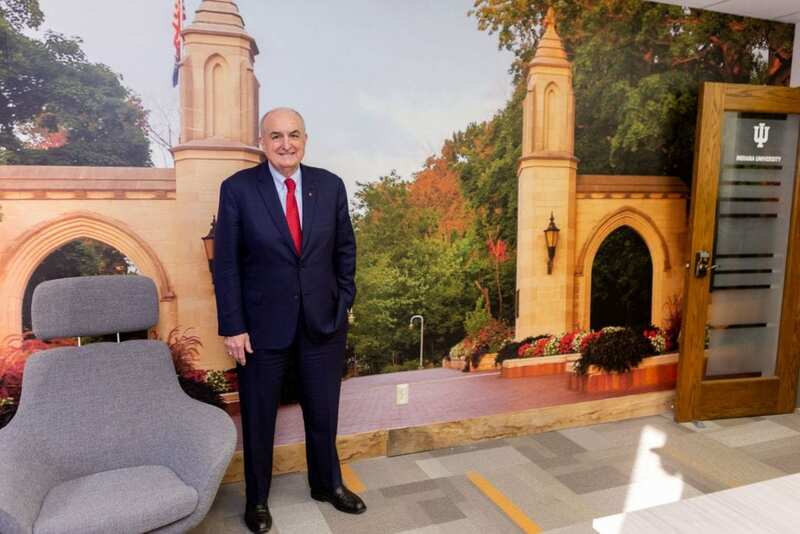 President McRobbie takes a tour of The Union 525 building in downtown Indianapolis on Thursday, November 8, 2018. He is joined by Vice President for Engagement Bill Stephan (r) and Katie Birge of The Union 525 (l). Photo by Liz Kaye, Indiana University.